Coolpad Cool Play 6 - How cool can it get at Rs 15,000? Coolpad Cool Play 6 – How cool can it get at Rs 15,000? Disrupting the industry has become the habit of Coolpad. The Chinese smartphone maker has launched a 6GB RAM smartphone at an unbelievable price tag of Rs 14,999. The Coolpad Cool Play 6 is going on sale from September 4th on Amazon India’s website. We find out why this handset is cool and share why investing on this handset is a good thing. Check them out below. What is so cool about Coolpad Cool Play 6? Coolpad welcomes you to “6” era. The number six here is referred for the 6GB RAM on their latest smartphone. The chipsets are evolving year-on-year, this gives smartphone makers chance to embed latest and powerful processors on their handsets. While mid-range has evolved to sport high-end chipsets, it is the first time that a 6GB RAM is included on a mid-range handset. And that is damn cool! There’s no doubt that camera on smartphones has become an integral part of our lives. We depend on capturing photographs and recording videos of our precious memories via our smartphone camera. The Coolpad Cool Play 6 offers a dual rear camera setup that enhances your photography experience to give impressive output results. 13 + 13 MegaPixel resolution package on rear includes one color and one monochrome sensor for detailed crispy bokeh shots. As we talked about the importance of RAM for multitasking, you must know the significance of the chipset for performance. If the chipset on a handset isn’t powerful and efficient, then, say goodbye to the good performance. But on Coolpad Cool Play 6 you welcome the next level performance. The Qualcomm Snapdragon 653 Octa-core processor changes the way you handle a smartphone. The sky is the limit with this processor being involved to offer a powerhouse of performance at your will. Be unstoppable with a 4000 mAh capacity battery on your side. The Coolpad Cool Play 6 comes equipped with a high-capacity battery that claims to last longer than most of the competition. This means your entertainment can go on, and on and on…. 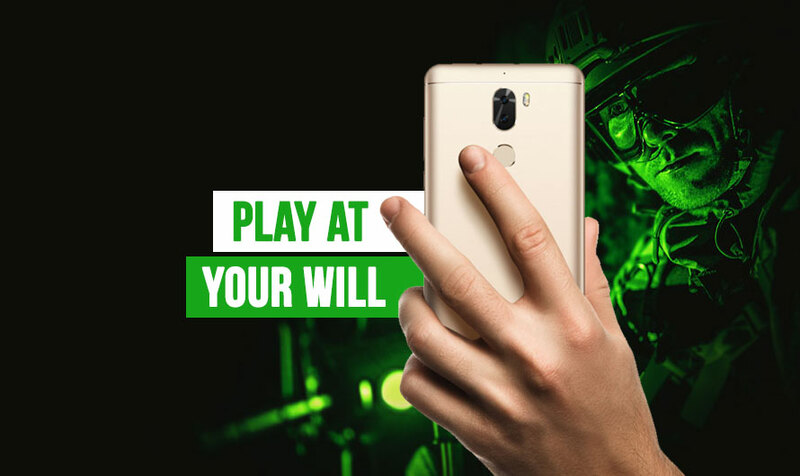 Why should you invest in a Coolpad Cool Play 6? Do live and breathe gaming? Is gaming all you could think of as your favorite pastime? We hear you and so do Coolpad. Gaming on a smartphone isn’t as cool as it is on desktop or tablet PC. But that perception of yours will change once you play on this handset. Offering high-resolution screen for your entertainment, gaming is so much immersive when you have a big display to play on. Furthermore, the next level Qualcomm Snapdragon processor and 6GB RAM ensures the device doesn’t lag while playing the game. While we have already talked above about the dual rear camera feature on the Coolpad Cool Play 6, we want to emphasize the significance of this camera setup. Investing on a smartphone means you spent at least 10K-15K if you are looking for a phone in mid-range. And a camera is an important part of the configuration these days, you should not be satisfied with anything less than a fantastic camera package. With Coolpad Cool Play 6 on your side, you get the clarity in life your deserve. Do you believe in fate? 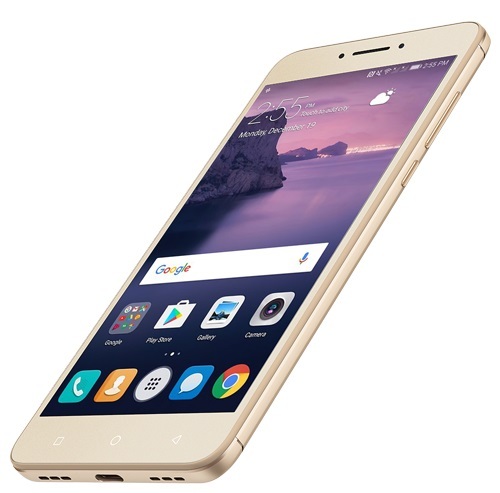 Coolpad Cool 6 specifications and price are a match made in heaven for Indian consumers. A device priced in sub-15K offering such set of interesting features is a dream come true for most of the Android consumers in India. 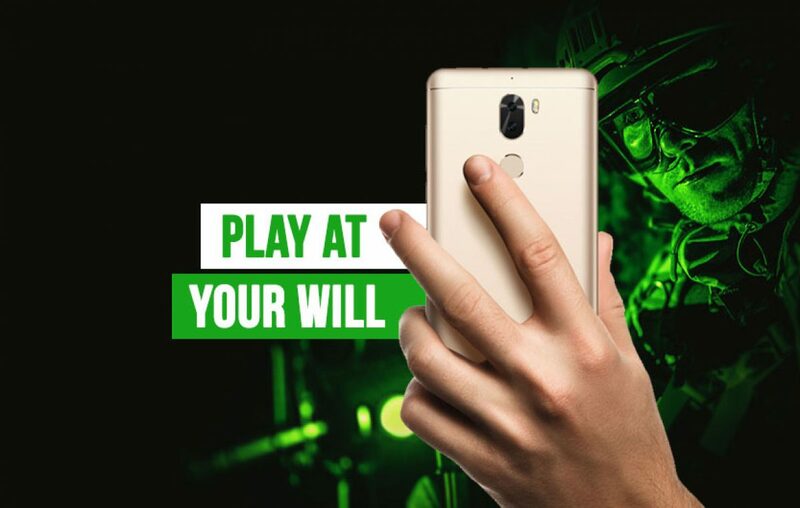 Wil you buy Coolpad Cool Play 6? Let us know in the comments section below. Previous article Nokia 8 - A Premium Android phone you deserve is here! Next article With Xiaomi Mi Mix 2 in the picture, Samsung Galaxy Note 8 would be bygone! Born in West India, raised in the North and currently chasing dreams in the southern part of India- Vishal is an entrepreneurial spirit, a tech enthusiast and a writer by profession, who is busy taking pictures when he is not writing. He would love to talk to you about the latest movies, TV shows and DC/Marvel comics. As a personal rule, he doesn’t let a day get by without at least one dessert. Because, why not? Asus Zenfone 5Z – Could it be the best premium flagship of 2018? Looking for the Best Smartphone Under 50000? Your hunt ends here! OPPO Realme 1 – Could this be the Redmi 5A killer? Best Phone Under 25000 in 2018 – No BS Guide for your next purchase! Lenovo P2: A phone with a battery of a power bank! HTC Desire 12 Plus – Behold the Bold! We shop online to save time and money. This is a place where you can economize on both. We are a single stop solution for mobile comparisons with conducive filters. © 2018 Copyright BestPriceOn Byte. All Rights reserved.